Most people would love to wine and dine with them or like the rich and super famous. This is why there is a considerable interest in where the A-listers of the world enjoy their meals. Many restaurant owners hope for the super renowned like Barak Obama or the Kardashians to be seen enjoying their meals. 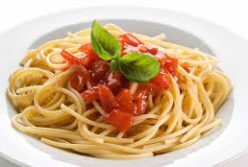 This privilege is available to only a few top restaurants around the world, and most of them serve the sports and film star’s most enjoyed dishes. Serving some of the best Chinese, Thai and Japanese cuisine, the Buddha Bar in Dubai have had the joy of helping many of the most popular film and sports stars. The Buddha Bar is one of the restaurants Will Smith has visited several times. It is also one of the favourite places of Kareena Kapoor and sports hero David Beckham. Visitors always remarks on the excellent presentation of the dishes and the sushi roll choices are impressive and includes a Rainbow Maki roll, this well-liked dish include wasabi tobiko, cucumber, shiso leaf, maguro, crab and maguro. 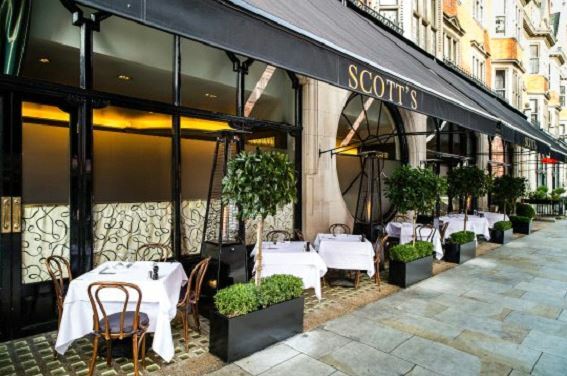 Scotts has a superb reputation for serving the best fish for more than 150 years. It is this reputation that attracts many to the restaurants. The restaurant’s centrepiece is the oyster bar offering clients the opportunity to sip Gaston Chiquet flutes. The A-listers that can’t resist the dishes at Scoots include Bill Clinton, Kevin Spacey and Johnny Depp. Judging by the places more than one A-list sports hero visit, they all love Japanese Cuisine, or maybe it’s just the favourite of tennis stars. Both Serena Williams and Roger Federer have often made space in their busy schedules to dine at Nobu during the Australian Open. While the main or signature dish is the black cod miso, the Nobu located in the Melbourne Crown Towers overlooks the Yarra River. The menu offers the most amazing meals bound to satisfy any strong appetite. Bruce Springsteen, Tom Hanks, Ben Affleck, Barak Obama and Michelle Obama can’t wait to enjoy their next meal at the Blue Duck Tavern. Situated in Washington, the Blue Duck Tavern is famed for its rustic American cuisine made from local ingredients. The Obama’s even celebrated their wedding anniversary and enjoyed the wood oven-fired butcher’s steak. The Pierluigi is frequently catering to appetite desires of Hillary Clinton, Nicole Richie and Barack Obama; then it is the most iconic restaurant in Rome. This upscale restaurant is known for the excellent meals prepared by chef Cianetti. The most unusual item on the menu is pasta served with pea ragout, baby squid and burrata cheese. Another restaurant that needs to be added to the list is the Beluga in Cape Town, South Africa. This is where Chelsy Davy, the previous girlfriend of Prince Harry selected to celebrate her 21st birthday party. The modern restaurant serves the best Springbok carpaccio worldwide completed via baby leaves, parmesan and basil pesto.